The program for Government Information Day 2018 is finally set! 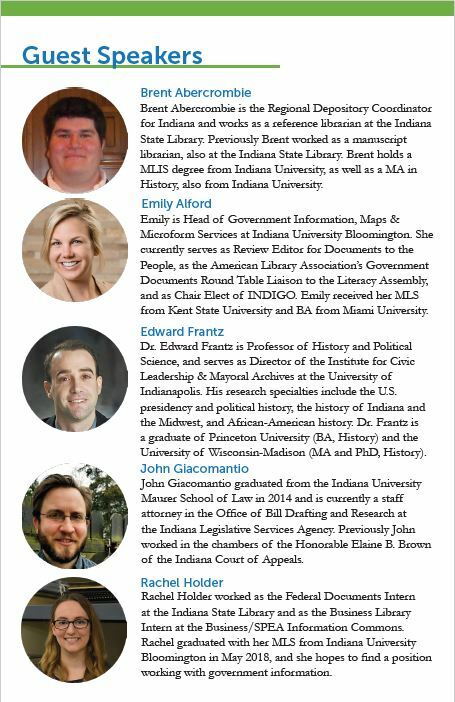 This year’s event, hosted by the Indiana State Library, will feature 9 presentations, including a keynote address by Cynthia Etkin, Senior Program Planning Specialist in the Office of the Superintendent of Documents, U.S. Government Publishing Office. This year’s theme is Advocacy, Research, and Collaboration. The one day conference is free to attend, and eligible to LEUs and TLEUs. Remember to register for the event! Registration is now open for Government Information Day 2018: Advocacy, Research, and Collaboration. This one-day conference will be held Thursday May 24th, from 9 am to 4:30 pm. The event is free to attend. 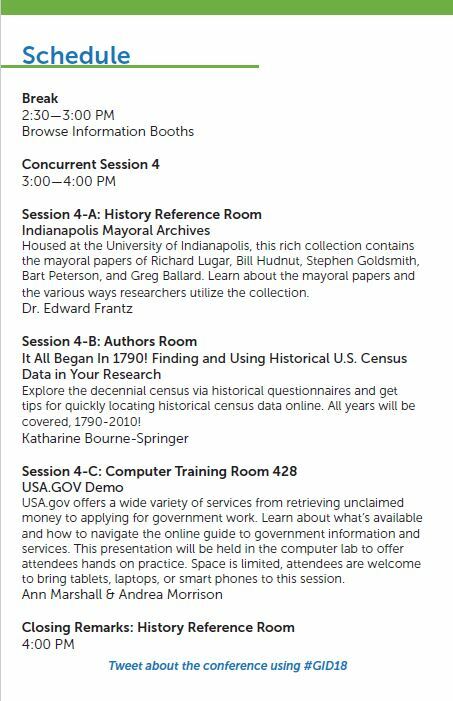 GID18 will feature presentations on topics relating to local, state, and federal information, including the upcoming 2020 census. 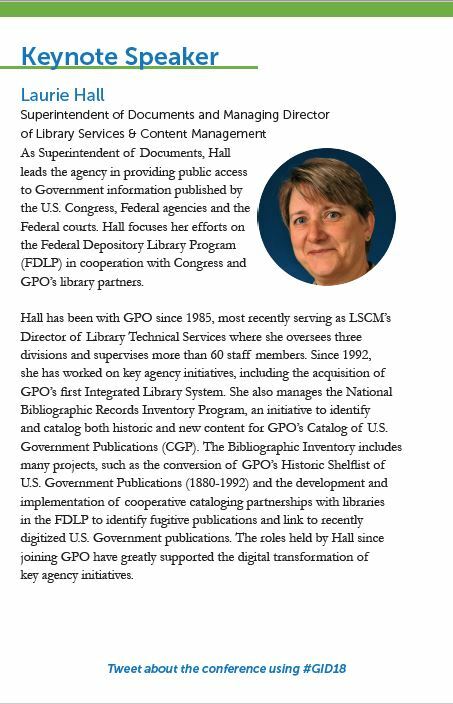 The keynote speaker will be Laurie Beyer Hall, Superintendent of Documents, from the U.S. Government Publishing Office (GPO). 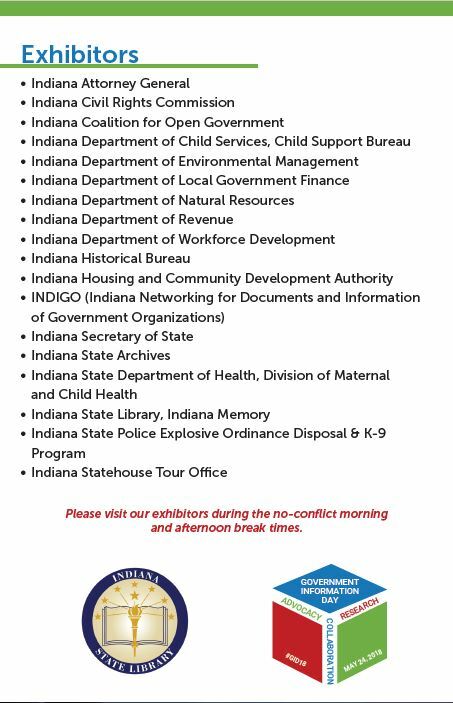 In addition to the presentations, attendees will be able to interact with various vendors and colleagues on topics relating to government information. Government Information Day offers an excellent opportunity to learn about emerging trends and new government resources. The event will feature two 50 minute concurrent sessions in the morning, and a 50 minute concurrent session following the keynote address in the afternoon. A detailed schedule, including the list of speakers and vendors will be released in the coming weeks. 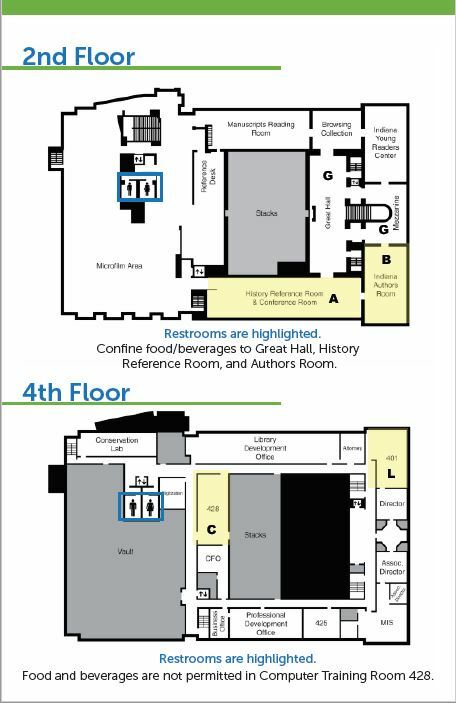 For any questions, please contact Brent Abercrombie, Federal Documents Librarian, at (317) 232-3733 or babercrombie@library.in.gov. Indiana public librarians can earn up to 4 LEUs toward their certification. 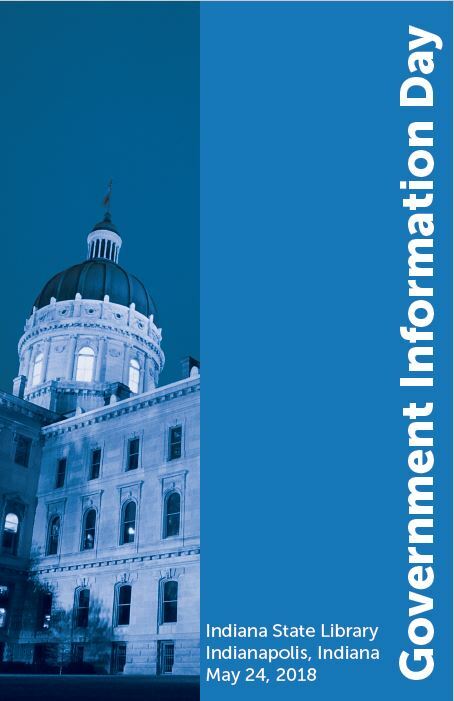 To learn more about GID18, including information on previous GIDs, please visit ISL’s Government Information Day webpage, http://www.in.gov/library/GID.htm. 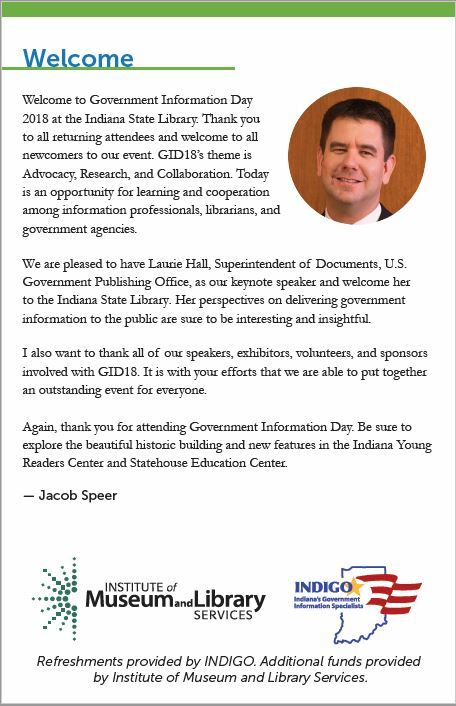 The Indiana State Library is pleased to announce the date for the next Government Information Day! 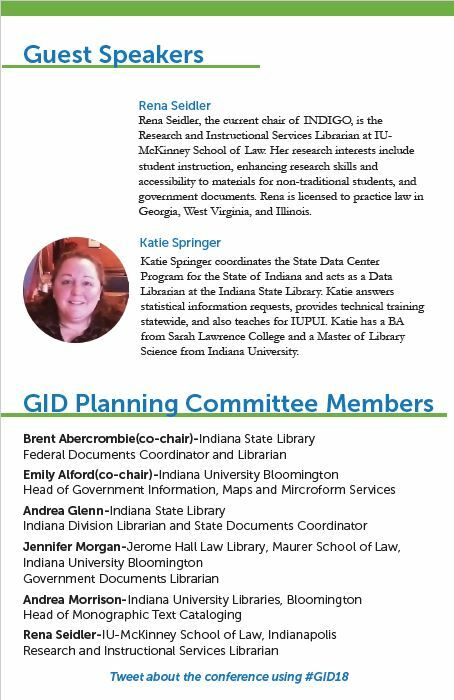 GID18 is a government information themed 1-day conference that will occur Thursday May 24, 2018 at the Indiana State Library on the State Government Campus in Indianapolis. 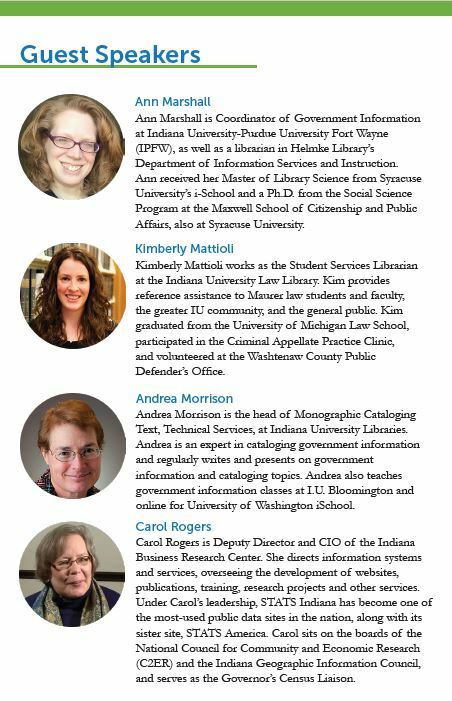 Librarians and anyone else interested in government information are encouraged to attend. 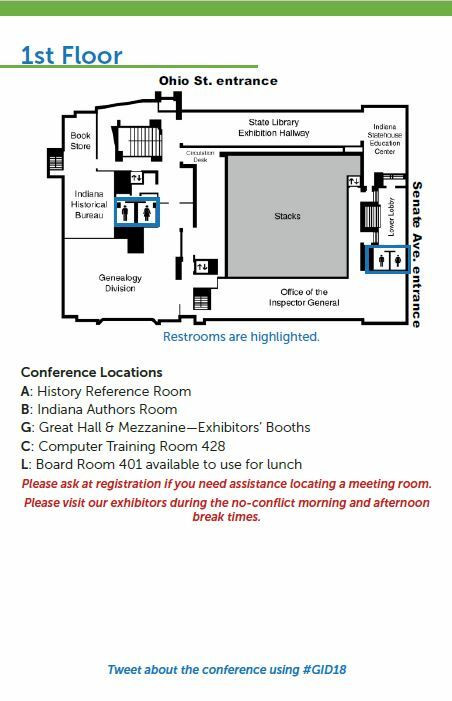 The conference will include several guest speakers presenting on national and state government information topics. Please be on the lookout for upcoming information providing a more detailed schedule of events.